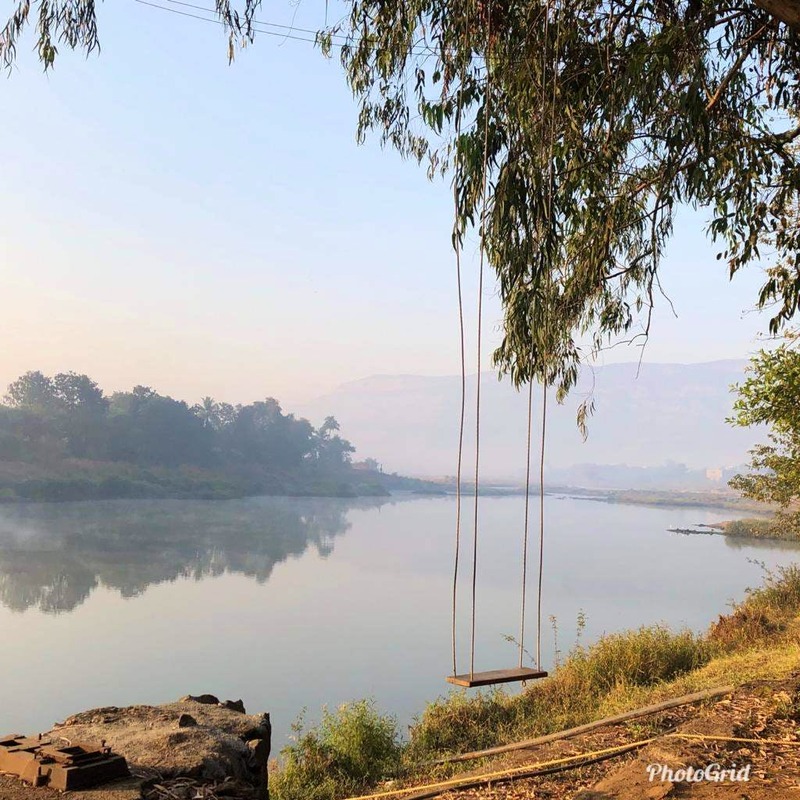 The campsite is located by the river and is just 2 hours away from Bombay. Colourful swings & hammocks are hung by the trees across the site making it a beautiful sight. You can go kayaking, play games, read books and do whatever you want to. There are no rules & regulations. It's the best place to relax and meet some new people. To the ones who are not used to sleeping in tents, they have recently launched their luxury tents with comfortable beds, side tables & charging points. It could be a little heavy on your pockets but definitely worth the experience. For the adventurous lot, they have other options like floating & hanging tents. The vibe gets joyful as dusk hits with the campsite all lit up. They have live bands every weekend with whom you can sing along all night. Movies, games and mural paintings are a few of the other activities they provide. I was overwhelmed with the food spread they provided us. Evening snacks, barbeque & dinner followed by breakfast the next morning. It's quite a meal in the middle of nowhere! The team works really hard to put up a great show each day making it worthwhile for the campers. Starting 2019, they are open every day, so get ready and pack your bags! It could definitely not be better than what it is.